I read this article and found it very interesting, thought it might be something for you. The article is called Blueprint Health’s Sixth Class Shines at Demo Day in NYC and is located at https://hitconsultant.net/2014/10/02/blueprint-healths-sixth-class-shines-at-demo-day-in-nyc/. Blueprint Health, a NYC based mentor-focused health technology accelerator, today announced the showcase of their Summer 2014 class of startups at their 6th annual Demo Day in NYC. This class is meaningfully changing the way patients engage with their health, from simplifying patient-provider communication (OhMD), to making it easier and more effective for patients undergoing rehab to recover (Hedway), to enabling remote monitoring for wound care (Healogram). Blueprint is a member of TechStars’ Global Accelerator Network. Each startup received $20k in funding, mentorship from some of the leading players in the provider, payor, and pharma space, office, and more in exchange for 6 percent equity. To date, Blueprint Health includes 53 portfolio companies (130 companies) with over 85 percent generating revenue. – Since April 2014, ProofPilot closed their Series A, tripled the size of their team and has over a dozen clients across academia, advertising, medicine, and social services. – After closing a $4M Series A, Procured Health is now live in over 100 hospital facilities, including HCA, Vanderbilt, and Yale New Haven. – RubiconMD has signed contracts with the largest Direct Primary Care groups in the country in 7 different states, grown its panel to almost 100 specialists at top AMCs and closed it’s seed round with over $1M raised. Net promoter score for providers using the service is even higher than Apple’s iPad. – Health Recovery Solutions has signed 12 hospital clients, including Mass General Hospital and the University of Pennsylvania Health System. – Artemis Health Analytics closed a $1.2M seed round. – Healthify closed their seed round, was awarded $200k in grants and has signed 6 clients including Johns Hopkins Healthcare and UnitedHealthcare. – Luminate Health now counts 2 of the 20 largest US labs among its customers and in the last 2 months, has delivered over 120,000 lab results to patients and providers. Post-surgical follow-up appointments to monitor wound healing are inconvenient, costly, and often offer marginal value. Healo is a mobile application that eliminates the need for the majority of these visits by allowing remote monitoring. Patients use the application to submit photographs of the wound at intervals determined by the physician and answer questions on compliance / complications. This data is made available for doctor/nurse review through a web interface. Approximately 90% of wound cases would be covered by this type of continued wound monitoring. Unstructured clinical data represents 70% of healthcare data, but most available analytics tools only manage structured data. Hiteks Solutions provides a cloud-basedanalytics software which analyzes unstructured clinical data stored within EMRs. The software structures these data to allow for sophisticated analysis by users or other computer systems. Hedway is a mobile platform that improves the efficiency and effectiveness of physical rehabilitation. Our interactive training guides and detailed tracking mechanisms replace the one-page handouts used today, helping hospitals and clinics improve the quality of care, see more patients, and keep more patients. OhMD aims to improve patient engagement by simplifying communication between patients and providers. It does this through a text messaging application that allows patients to securely contact their healthcare providers and care team. It can integrate with existing patient portals so that the workflow for providers remains the same, but to a patient it has the look and feel of a text message conversation. Access to pharmaceutical and pricing data is scattered, fragmented, and in multiple languages, making it difficult for pharmaceutical companies and consulting firms to draw the insight required to make the best business decisions. RXDATAPOINT provides a platform that brings data regarding pharmaceutical pricing from different countries to one place giving pharma companies and consulting firms a cost-effective and time-efficientmeans of conducting research for strategy development and investment decisions. Stirplate allows scientists and researchers to easily analyze their data and share their findings with others. The simple and intuitive system gives the scientific community the ability to share massive amounts of data with just a few clicks. Stirplate’s cloud-basedanalysis tools save researchers hours of data manipulation & analysis. 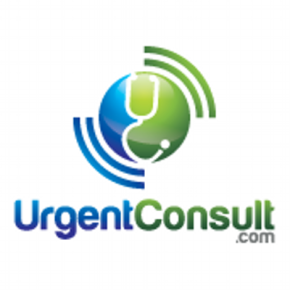 Urgent Consult provides patients and doctors an easy to use and streamlined solution to the medical referral process. UC allows doctors to search for a specialist that meets the patient’s needs, schedule an appointment for the patient right at discharge, and securely transfer the patient’s medical data to the specialist.